Make a Meal in May, make a donation, and be in to win an incredible prize! We’ve teamed up with My Food Bag, New Zealand’s popular meal kit home delivery service to offer May Meal Makers the chance to win an amazing prize. The lucky winner will receive a month’s My Family Bag Subscription from My Food Bag, valued at $679.96. My Food Bag offer healthy and delicious food to Kiwis, providing all the ingredients needed for a week’s main meals. The perfect partnership, My Food Bag is a Kaibosh food donor and are close to becoming a ‘zero food waste business’. Any bags that aren’t used in the Wellington region are given to families in need through Kaibosh. Around New Zealand My Food Bag donates their quality surplus kai to other food rescue organisations. 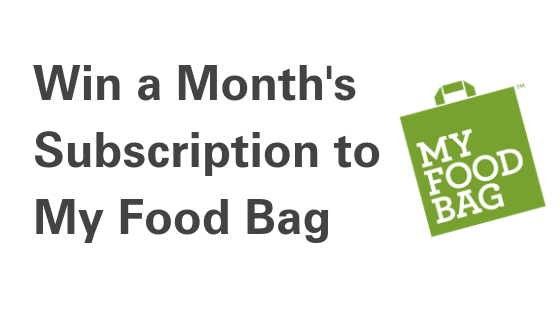 Thanks to My Food Bag, by Making a Meal in May you can go into the draw to win a month’s subscription to My Family Bag, which includes 5 recipes each week and feeds 2 adults and 2-3 kids. Complete your competition form – everyone who takes part in a meal and makes a donation to Kaibosh is eligible to enter, so make sure all your guests add their details too. Donate the funds raised at your meal to Kaibosh. We’ll match your form to your donation and enter you and your guests in the prize draw. Everyone who takes part in a meal and makes a donation to Kaibosh is eligible to enter the competition. Only forms that can be matched to a donation will be entered into the prize draw. Each person who donates and includes their details on the form will be entered into the competition once. To be eligible for the competition, donations must be made by midnight on Friday 31 May 2019 and competition entries must be submitted by midnight on Tuesday 4 June 2019. The competition winner will be randomly drawn during the second week of June 2019. We will email the winner and pass their details onto My Food Bag, who will set up the delivery. Find out more about Making a Meal in May!